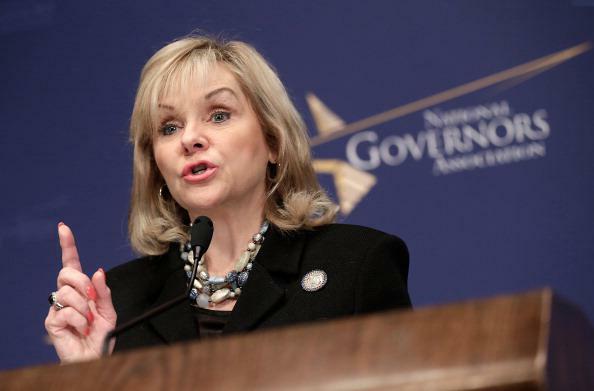 Oklahoma execution method: Nitrogen asphyxiation bill signed by governor. Nitrogen gas could be administered through a mask or the condemned convict could be placed in a tent. The nitrogen would displace oxygen. Loss of consciousness would occur within 10 seconds and death would occur within a few minutes, said Rep. Mike Christian, R-Oklahoma City, author of the bill. Christian said it would be “a humane, quick and painless death” and would be easy to perform. Supreme Court oral arguments on the lethal-injection issue are set for April 29, and the court has ordered that, until it rules, the three plaintiffs in that case cannot be executed using a specific drug cited in the lawsuit, midazolam. The plaintiffs argue that the combination of lethal-injection drugs Oklahoma uses can cause cruel and unusual extended pain before death. All three plaintiffs’ initially scheduled dates of execution have already passed, but the nitrogen asphyxiation bill won’t go into effect until November 1, by which time the Supreme Court should have already issued a ruling on midazolam. Oklahoma’s current statute lists electrocution and firing squad as alternative execution methods, but the state hasn’t used either technique for over four decades.